On Wednesday, astronomers working with NASA's Swift satellite spotted what looked like massive bursts of radiation in the Milky Way's nearest galactic neighbor, Andromeda. Many speculated that the images showed a violent collision between two neutron stars (the remnants of dead stars). These violent collisions rarely occur so close to the Milky Way, and they captured the attention of many on Twitter, with the hashtag "GRBm31." 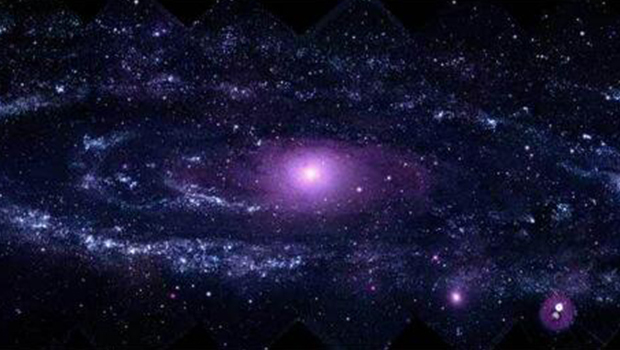 Andromeda is known as galaxy m31. By Thursday morning, the astronomers said it was a false alarm. But the explanation for the amazing visuals is still very interesting, as Corey S. Powell noted on Twitter. I love that the "boring" explanation for the #grbM31 X-ray flash is a black hole dragging gas into space-time oblivion. Even if it didn't offer a rare gamma-ray burst, Andromeda deserves plenty of attention. Andromeda galaxy will actually collide with the Milky Way in about 2 billion years, according to the most recent Hubble Space Telescope measurements of the motion of Andromeda and the Milky Way. In 2012, NASA predicted that the collision would occur in 4 billion years and would give the Milky Way a complete makeover, but more recent measurements suggest the timescale is actually much shorter -- the two will collide in half the time originally predicted. After they first collide, the galaxies will merge into one. Despite plowing into each other at full force, there are not expected to be direct collisions between stars in the two galaxies, because there is so much open space between them. The coming together will, however, knock the stars into different orbits. The Milky Way and Andromeda are part of a small family of galaxies called the Local Group, Dennis Overbye explained in a New York Times post. "Whereas the universe is expanding and galaxies are generally getting farther and farther away from one another with time, the galaxies in the Local Group are bound together by family ties in the form of their mutual gravity," he wrote. But there is nothing to worry about, he noted, because long before that, the Earth will have entered the solar system's "hot zone" and become too hostile to sustain human life, so no one will be around to experience the collision.